via online store and selected retail outlets. 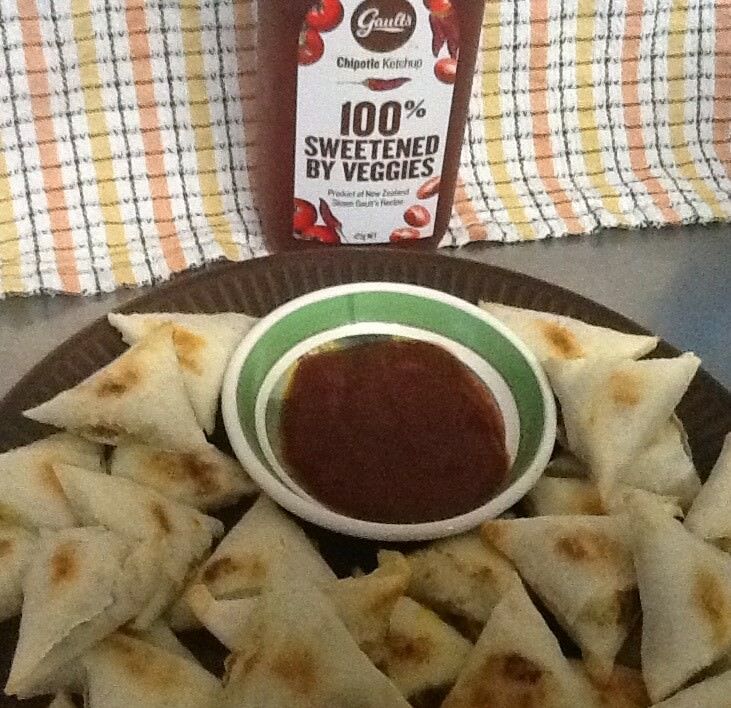 Sweetened 100% with New Zealand vegetables, Gault&apos;s Chipotle Ketchup has the perfect balance of smoky and sweet and is sure to add the right amount of hot deliciousness to any meal. We&apos;re back and this time we&apos;re bringing a new, smoky iteration of our healthier-for-you ketchup. 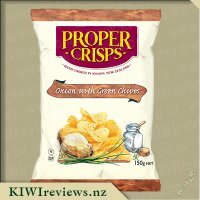 It&apos;s the same New Zealand tomatoes and vegetables, but with just a little kick of smoked chipotle chilli. We also don&apos;t add any artificial or flavour-tainting natural sweeteners like stevia to Gault&apos;s, so you can feel good about eating ketchup without sacrificing deliciousness. I am not going to lie I have not had much experience with Ketchup besides when we go to the American Diner, Burger King or while watching American TV besides that we are a Tomato Sauce family thru and thru. 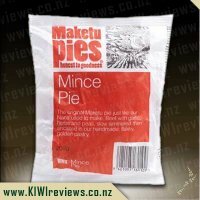 The girls can not get enough of Tomato Sauce but have been begging me to get ketchup for a while now and some kinks are just to hard to break and I have stuck to good old Watties. My husband adores Chipotle and I had not had any experience with it either until I had to do a review for another company recently and I feel in love with the smokey taste so naturally when this product became available we just had to try it. As we live very hectic lives once a week I indulge with fish and chips because there are some nights you just don&apos;t have the energy to work all day, followed by homework then off to some after school activity. I thought this was the perfect occasion to try it out. I gave everyone there own pile of sauce that they could use at their own leisure, which makes it so much simpler. My first thought was it smelt like BBQ or Bacon some sort of meat and actually I found that I really do like the smell. I dunked my chip into it and it was a taste I was not expecting. It has heat mingled with sweetness mingled with a smokey taste its a weird combination as it hits you at different stages. It tastes nothing like tomato sauce so I was taken a back and first. But I continued to dip my fish and chips into it and it created a whole new playing field with the food. I was rather shocked when both girls asked for more sauce as it was finished pretty much straight away and my husband just kept saying how much he loved the taste. 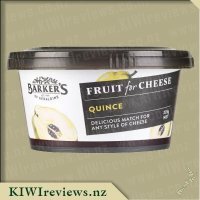 It was a flavour I really was not expecting but it is actually really nice and grows on you. I found you did not need to use as much as I usually do with the tomato sauce as it is rather heavier in taste. We had hot dogs with mustard and onions for Sunday lunch and I added this to the mixture. Again it changed the taste from what we are used to, to something completely different. I am not sure it would go with everything we usually use tomato sauce with but I am willing to give it ago. It gives off a nice heat and I found in both occasions the heat lingered in my mouth for quite some time. I also found I did not need to eat as much as usual maybe because of the heat factor but I was satisfied earlier, which is a nice surprise. The family all agree that they enjoy it but I am not quite sure we are ready to get rid of the Tomato Sauce just yet but it is a nice change and something I plan to play around with. My 10 year old daughter loves tomato sauce so much it was only recently that we managed to stop her having it on a roast dinner! It&apos;s a staple in our home and we get through quite a lot so I was interested to see how this ketchup would fare. The Gault&apos;s Chipotle Ketchup comes in a 475 g clear plastic bottle with a lid that is much easier to open and close than the current sauce we use. 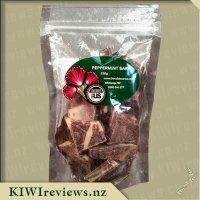 The label very clearly states that it is &apos;100% Sweetened by Veggies&apos; and has pictures of tomato&apos;s and chilli&apos;s on the label. I tried to discreetly put the bottle on the table for dinner as Miss 10 is a creature of comfort and tends to eat with her eyes rather than her tastes buds. However, her younger sister was quick to point out the new sauce and as soon as my daughter saw the label with the chilli&apos;s on it, I could tell that she had made up her mind and wasn&apos;t going to like it. After much persuasion, she put some on her plate but after dabbing her finger in it told us she didn&apos;t like it. Her younger sister tried it and said she didn&apos;t know what the problem was as it tasted really nice! I had a good sniff and could smell the chipotle but when I tasted it I got a lovely smoky combination of onion, chipotle and tomato. It&apos;s a richer, darker colour to other brands and I really liked the fact that it is low in fat, has no artificial sweeteners and no preservatives. It&apos;s only 2 g less sugars (per 100 g) than the generic sauce we use but this is naturally occurring sugars which is great. Although my eldest didn&apos;t like it, I will be buying it again as it was lovely in my burger and I think, with time, I will be able to convert her!! 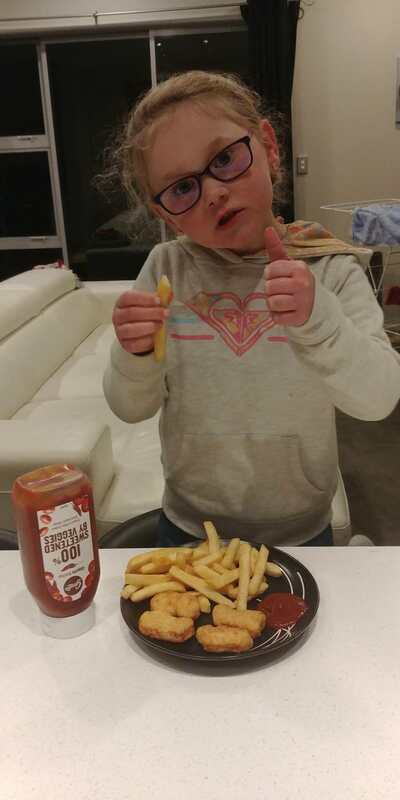 Tomato sauce is a staple in our house, Miss 5 particularly loves it on everything possible - pasta, vegetables, chips, meat, salad you name it she&apos;ll want it with sauce. 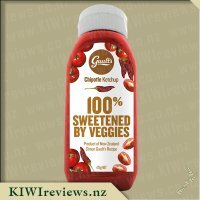 Traditional tomato sauce, however, isn&apos;t always that great for you being packed full of sugars and so many additives so when I saw the Gault&apos;s Chipotle Ketchup up for review I thought it would be a product well worth trying as a much healthier vege packed alternative than our usual sauce. 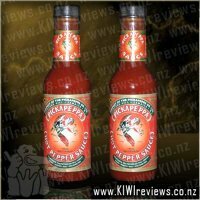 The sauce itself comes in a clear 475g squeezy bottle, the cap on the top of it is easy to open and shut and the sauce also flows easily from the bottle without too much coming out at once. The bottle being clear is great as it means not only can you see the exact look of the product you are buying but that you can also tell when the contents are running low and you are going to need to buy more. The labeling is crisp and clean and really suits the bottle I like the images of the tomatoes and chilli&apos;s as these resemble 2 of the main ingredients/flavours within, best of all the words "100% Sweetened by Veggies" stand out a mile off so this product would be easy to spot on your supermarket shelf. 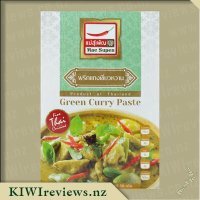 Since receiving this product for review I have tried it several times in various dishes and I can happily report that it gets the thumbs up from all of my family who has tried it particularly my Brother-in-Law who loves all his food to have a bit of heat to it. Being a Ketchup rather than a sauce means that it is quite a thick consistency which I found to be great at adding to dishes as well as being perfect for dipping. The first 2 time of trying the Ketchup I used it as a dipping sauce trying it out on sausages, chicken nuggets and hot chips, the additional flavour added to these products from the heat of the Chipotle and Paprika was great and I really enjoyed as did my partner and Miss 5, all of us whom don&apos;t tend to add much spice or heat to our foods. A few days later I decided to add about 1/4 of a cup of the Ketchup to a spaghetti bolognaise I was making in place of my usual tomato paste I would use, again this was fantastic and made the meal even better than usual. If you are after a Ketchup that is full of flavour, has a bit of heat and is made of nothing but vegetables, spices, and water then this is really worth giving a try. 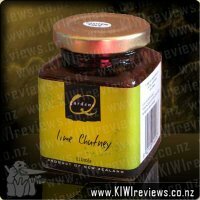 Such a versatile product which is made right here in New Zealand making it even better still! 10/10 from me. I&apos;m a person who&apos;s grown up using tomato sauce, when I was younger it was much to the despair of my dad because every dinner, I had to have some, there was almost no dinner meals had without it. Now that I&apos;m older, there are still some foods that I find need a dollop of tomato sauce on but I have found that I don&apos;t enjoy the taste as much as I used to. 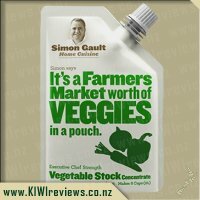 Getting this, I don&apos;t recall seeing the plain Gaults Sweetened by Veges sauce, but to be honest I haven&apos;t really looked beyond the budget brand because I always figured that tomato sauce was tomato sauce, you couldn&apos;t do much to make it any better. Well, I was wrong. I tried this without putting it on anything on it first and found that it had a lovely smokey taste, a nice strong tomato taste and a good dollop of heat. My kids weren&apos;t interested it though, they found the heat too much but while I don&apos;t usually like hot food, I am acclimatising to it and actually found myself wanting more. Every week my in-law brings McDonalds, so I decided to use this to dip my chips in and it made the unsalted, insipid fries so much nicer, actually edible. I made vegetarian burgers and used this when I put my meal together. I didn&apos;t need to use too much and still got a huge hit of flavours that really made the burger tastes so much better and I would use it again. This has replaced my cheap tomato sauce, though I&apos;m not sure if I&apos;ll stick with this one or go for the non spicy version, that will depend on if my kids like it or not and if I don&apos;t want to share. This gets a big tick. Watties Tomato Sauce has 30g of sugar per 100g of sauce. 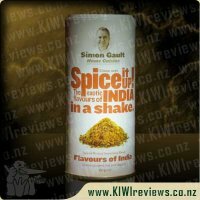 Simon Gault&apos;s new 100% sweetened by vegetables chipotle sauce on the other hand only contains 17.4g of sugar, and they are all natural sugars, not artificial. So that is quite an advantage for those that are looking to limit their sugar intake without skimping on their table sauces. But I guess I can&apos;t just rattle off numbers. The flavour is also very important. Apart from being a chain of restaurants, Chipotle is also a type of pepper, more specifically a smoke-dried jalapeno. That would sit at around 2/5 on possible hotness scale as the pepper alone (which doesn&apos;t say too much when 0 means no heat at all, and 5 means unbearable pain and hallucinations), but this is not a bottle of jalapenos. This is a ketchup, that is also sweetened by vegetables. Tasting the sauce, it reminds me of a casserole, with flavours of tomato, onion, and carrot. Sadly though, onion is the only vegetable that is listed outright. When "sweetened by veggies" is the selling point (the line is larger than the name of the sauce), you would think you would find a list of vegetables in the ingredient list, instead we have tomato paste, vegetable extract, chipotle powder, and lemon juice concentrate. Perhaps not artificial, but still not as unprocessed as one would hope. Putting that all aside though, the flavour is nice; the chipotle brings a smokiness to the ketchup and warms the tongue without being too hot for the kids. The "veggies" provide extra depth to the flavour. You aren&apos;t just tasting sharp and tangy artificial tomato, you get your onion and carrots too. The flavour is almost consistent with what you would expect from a salsa, except this is ketchup, so it has all been finely blended to a fine, uniform consistency, that still has the same tomato sauce colour (okay, it may be a slightly richer blood red). With the warmth added to the sauce the one thing it does lose is the refreshing coolness that ordinary kinds of tomato ketchup have. That refreshing nature is what makes tomato sauce a sauce that you can have on nearly any meal throughout the year. But what we have here is a warm sauce. And as a warm sauce, it works better in colder climates; I wouldn&apos;t see this chipotle ketchup being overly popular during summer time. But there is still room for some variety in the table sauces, so while I don&apos;t see it replacing the tomato sauce, it definitely will have its place for certain occasions and times of year. It is always rewarding to see that some manufacturers are dedicated to providing delicious food without feeling the need to include artificial ingredients and preservatives, and omitting the sugar overload that so many sauces and ketchups offer. I checked the list on the side of the container and everything there was wholesome. Many of my friends and family are becoming increasingly aware of the dangers of over-processed foods and are going for items with fewer ingredients, natural wherever possible, so this product will be a welcome addition to their shopping lists. Over the last three days I have tried it with three different meals, each time with a different group of friends and/or family, so have had a good chance to evaluate it. The first time three of us tried it with some home-made sausages. 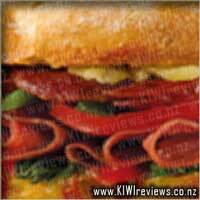 These were purchased from a deli that specialises in gourmet sausages, all made from fresh local beef and pork. It was important that the ketchup we used with them was also of high quality, so I suggested they help me to evaluate the combination. One person said she found it a bit too hot for her liking, but I disagreed and so did the third person. The ketchup does have a piquancy to it which gives it more flavour than a cheap sauce, but we did point out that she had poured it on rather liberally so maybe she should have been more sparing! Being more cautious with the amount used also means, of course, that the bottle will last a lot longer than a cheap version would do. The second meal consisted of small triangular samosas which were filled with a mildly flavoured chopped vegetable filling. I have often had these at parties, but they are normally served with sushi vinegar or a similar oriental-style dipping sauce. I wondered how they would go with a chipotle sauce instead, so I put a small bowl of sauce in the middle of a plate and piled the samosas around. There were a dozen people all enjoying various hors-d&apos;oeuvres, so I did not say anything - just walked around and offered my own selection to people. Instead of asking, I watched for reactions and was interested to see that almost everyone came back for another one - to the extent that I had to top up the plate (the ketchup as well as the samosas). The last meal was a family dinner. We had been busy so there was no time to cook; instead, we had a very boring trio of commercial Hawai&apos;ian style pizzas. 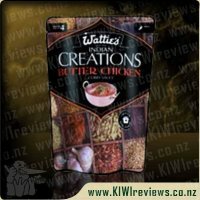 Filling and great for the kids, but not very flavoursome for the adults. So I took one of the pizzas and added some of the sauce on top, spreading it so it was not concentrated in one place. Magic! The "grown-up" pizza was now delicious while the children could enjoy their kiddy version without spoiling things for us. I was amazed just how much this flavour boost improved things. At this rate, I could become a fan of shop-bought pizza. I am looking forward now to trying some in other dishes. I can see it going well with a goulash, and also with a spaghetti sauce. I like the gentle heat from the chipotle: it is definitely there, but not so hot that it burns your tongue. The flavour behind it is reminiscent of a good home-made vegetable soup, creamy and not too sweet. This is a winner on many levels. My next challenge is to persuade the kids to try it!